eTail East 2018 is only one week away, and we’re excited to rub shoulders with world-class brands at this leading e-commerce and omni-channel conference. 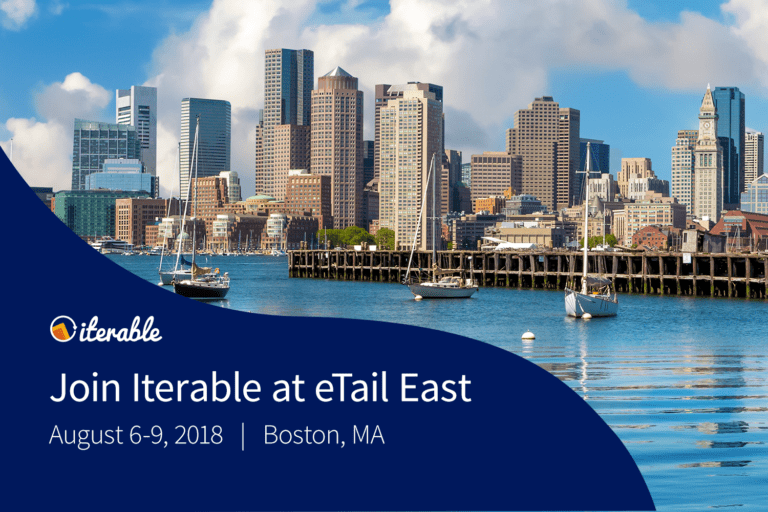 Taking place in Boston on Aug. 6-9, eTail East will bring together over 1,200 attendees and 100 speakers from 500 companies—including L’Oreal, Crate & Barrel, Wayfair, and more. Iterable will be hosting two sessions at the event, alongside Paul Pender, E-Commerce Marketing Manager at ASICS, a global footwear and apparel brand. ASICS is evolving its digital strategy by investing in products that serve health enthusiasts at all stages of their fitness journey. 1. “Making Gains: How to Achieve Your Retention and Fitness Goals” (Monday, Aug. 6, 10:05 a.m. — Customer Retention Roundtable): Which is more difficult—customer retention or sticking to a new fitness routine? 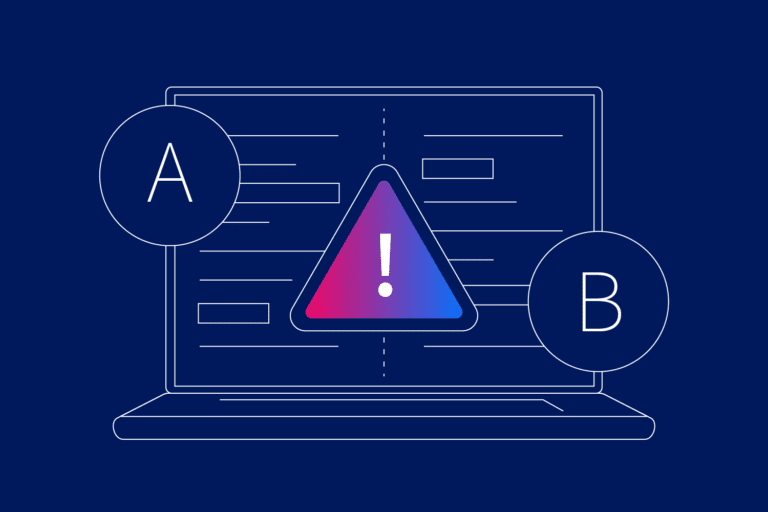 What if your retention metrics were dependent on customers’ fitness routines? In this roundtable discussion with Jen Capstraw, Director of Strategic Insights and Evangelism at Iterable, Paul Pender will share how ASICS launched their fitness app in only five months, turning new users into loyal fans. Join us for a lively discussion, answering the retention questions on every marketer’s mind. 2. “From Shoe to Service: Creating Seamless Customer Experiences That Win” (Tuesday, Aug. 7, 2:25 p.m.): Delivering customer experiences that win is no easy feat. With disruptive businesses like Netflix and Amazon driving new customer expectations, brands must invent new ways to keep pace and deliver top-notch experiences. With over 50M subscribers across the globe, ASICS has kept consumers on their feet with innovative digital offerings, including ASICS Runkeeper and ASICS Studio. In this breakout session, Paul Pender discusses how ASICS exceeds customer expectations by leveraging the right services and technology to become more than a traditional retail brand. “Content is King: How to Get Creative With Your Email Messaging to Drive Loyalty & Revenue” (Monday, Aug. 6, 9:35 a.m.): This keynote panel features Eve Loughran, Director, Digital Marketing at Camuto Group; Phil Irvine, Director, CRM at The Bouqs Company; Raphi Mahgerefteh, Founder & CEO at Allurez; and Matt Harris, Co-Founder & CEO at Sendwithus. They’ll discuss new and alternative types of content generation to integrate into your email program. “Testing New Digital Marketing Strategies to Drive Acquisition” (Monday, Aug. 6. 2:05 p.m.): This keynote panel features Brian Costello, VP, Digital Demand Creation at SharkNinja; Matthew Erley, VP, Growth at Havenly; Mark Chou, VP, Growth Marketing and E-Commerce at Away; and Mike Villalobos, VP, Sales at FuelX. 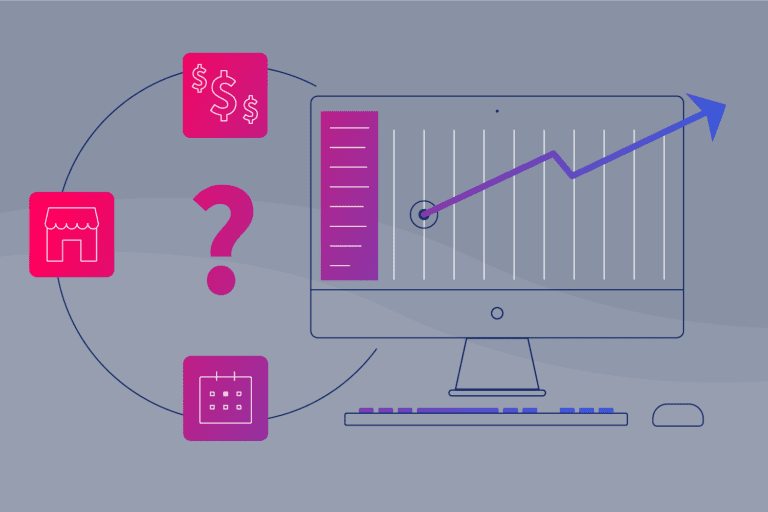 They’ll discuss video, social media, influencer outreach and other methods for driving acquisition and get insight into how they measure the ROI of their efforts. Case Study Remix: “Lessons Learned From Building a Retention Marketing Team From the Ground Up” (Monday, Aug. 6, 2:50 p.m.): Ben Clark, VP, Customer Retention at SeatGeek, will reveal what their retention marketing stack looks like, the dynamic of personalization and discovery, as well as the interface between product and marketing. He’ll also dive deep into how SeatGeek approaches marketing attribution. C-Level Chat: “Growing Your Digital Business With a Focus on Fast, Fresh, & Easy” (Tuesday, Aug. 7, 8:20 a.m.): PJ Oleksak, Chief Growth Officer at FreshDirect, will share how FreshDirect has evolved over the years and how they’re using technology to meet their customers where they are to deliver an exceptional experience from homepage to checkout to delivery. “Getting Past the Roadblocks to Unified Commerce” (Tuesday, Aug. 7, 12:05 p.m.): This keynote panel features Kim Czopek, VP, Digital Marketing at Lilly Pulitzer; Bridget O’Brien, CMO at Ethan Allen Global; Skye Spear, VP, Sales & Partnerships at Signifyd; and Sam Norpel, GM, Digital Commerce at Vitamin Shoppe. They’ll discuss how brands are approaching omni-channel and what they have done internally to better support unified commerce. “Marketing and Retail Experiences of the Future: Opportunities and Challenges” (Wednesday, Aug. 8, 8:40 a.m.): This keynote panel features Leslie Leifer, VP, Enterprise Strategy & Business Development at 1-800-Flowers.com; Gwen Bennett, SVP, E-Commerce & Marketing at Destination Maternity; Eleanor Morgan; SVP, Customer Experience at Casper; and Sara Spivey, CMO at Bazaarvoice. This keynote panel will discuss the impact of technology on their organization and how today’s customer is challenging traditional retail and moving it forward in exciting new directions. Come meet the Iterable team at booth #405 to grab some swag and learn more about our growth marketing platform. If you’re attending eTail East, then we’d love to learn more about your business goals and share our best practices for delivering exceptional customer experiences across all channels, so sign up to meet us at the event and participate in all the action!